Today's post is going to be yummy! 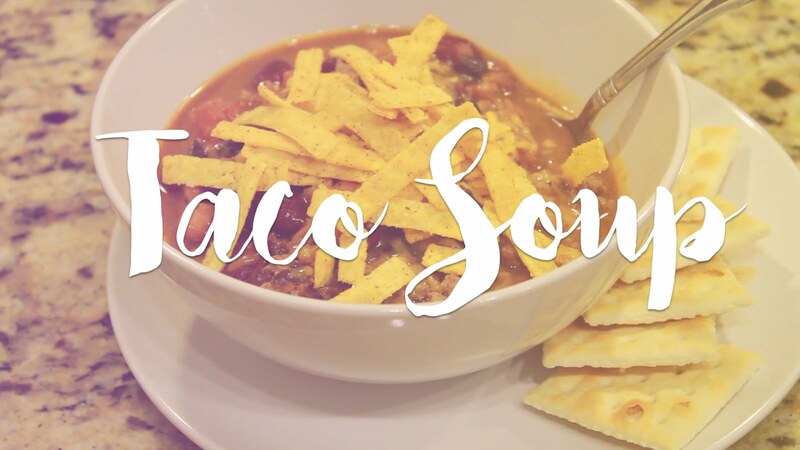 It's a delicious taco soup recipe that is just divine during the cold Winter months! Soup during those cold nights is just the perfect comfort food. 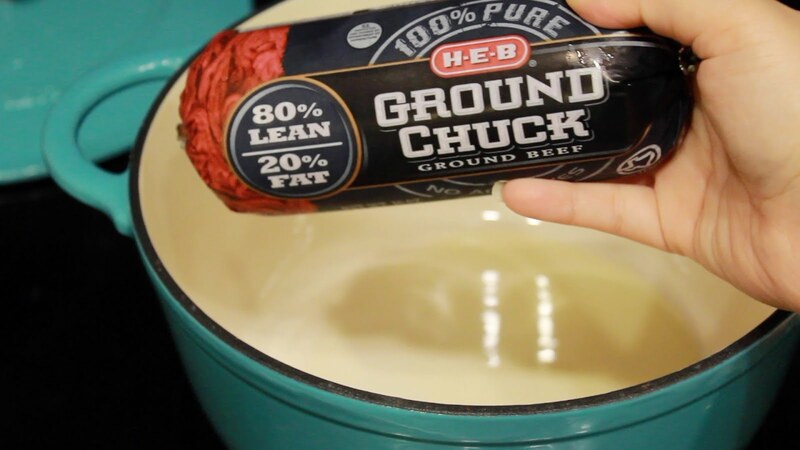 Living in Texas, there aren't many of those cold days for soup but when there is, this is definitely my go-to recipe! First, you start off with olive oil and heat it up for about 1 minute. Start cooking the beef on LOW TO MEDIUM heat. Make sure you don't cook it entirely. 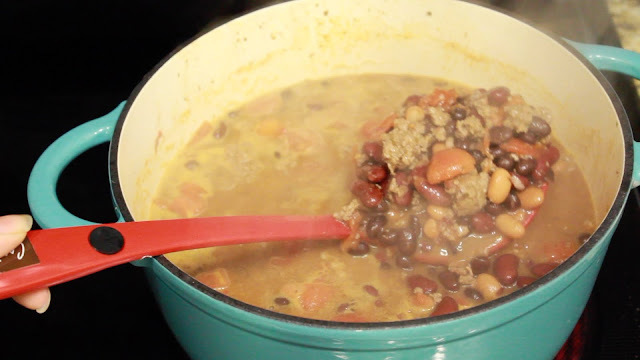 You want to just start cooking it but finish it when it hits the soup and cooks entirely there. No dry meat for us! 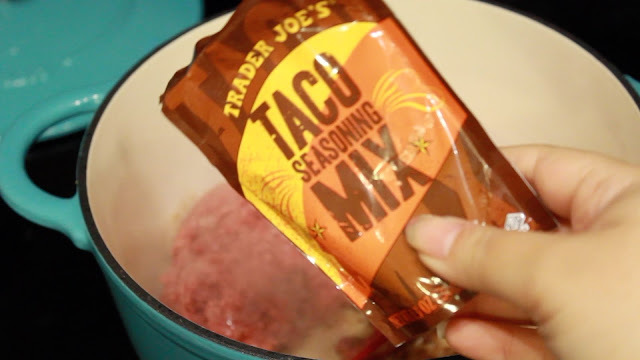 Next you want to season your meat, I used this taco seasoning mix from Trader Joe's. It is absolutely AMAZING! But whew, is it spicy!!! I should have read the back of the packet before I started because it says for mild, use half the packet for spicy, use the full packet. This is completely up to your preference. I used the whole packet in this recipe! I don't really do spicy but my goodness, was it delicious!!! If you like spicy, I recommend using the whole shebang! The next ingredient is a little weird (not gonna lie) and you would think WHY!? Somehow, it works, y'all! RANCH! 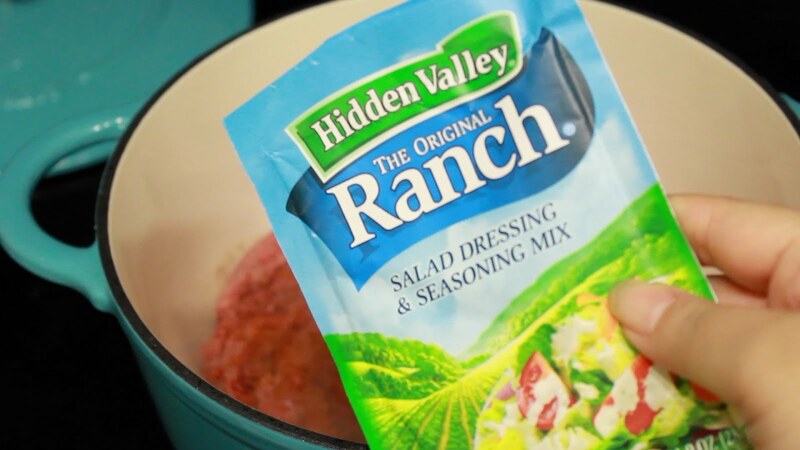 Now, I love ranch! ON. EVERYTHING! LOL! 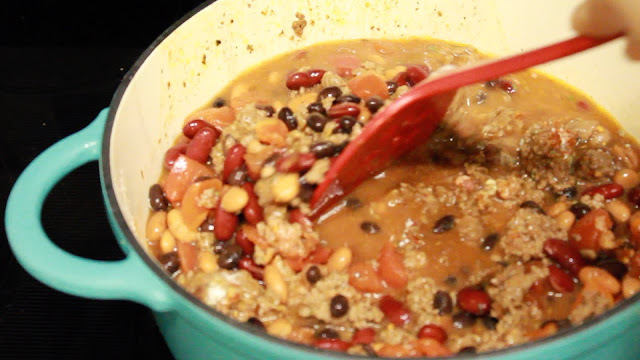 But even I was a little hesitant as to how this actually works in this recipe. I don't know you guys, but it works! And it's delicious! 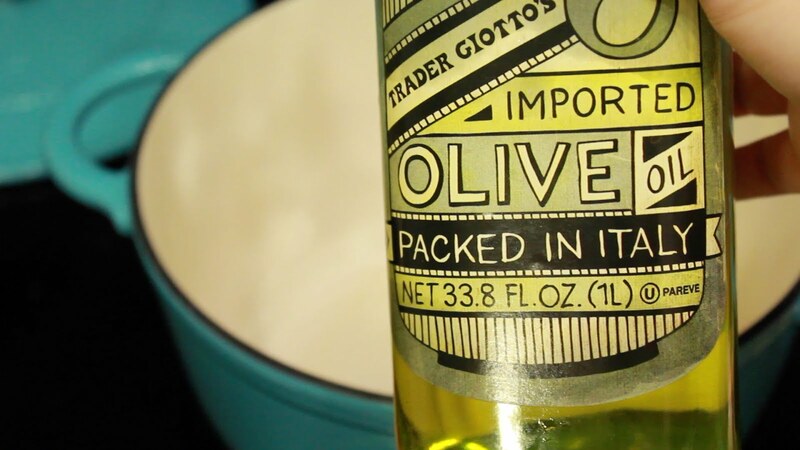 It gives this recipe a really creamy thickness to it which I think is the main use for it. You can't even taste it! My husband hates ranch and he didn't even notice it! 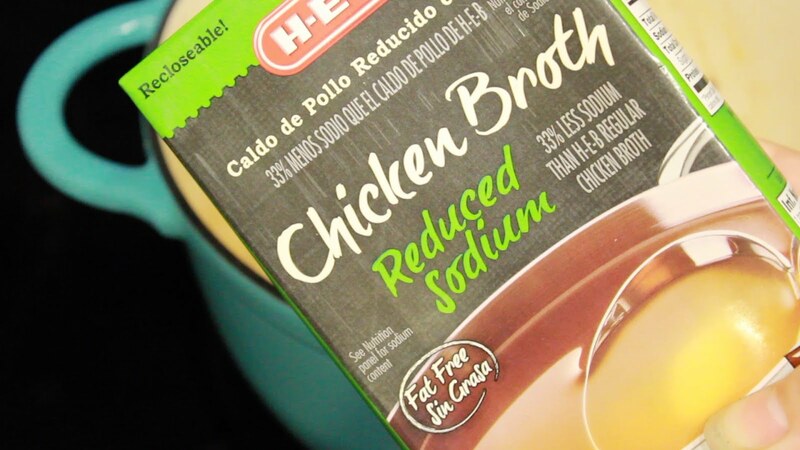 It mixes very well with the broth! 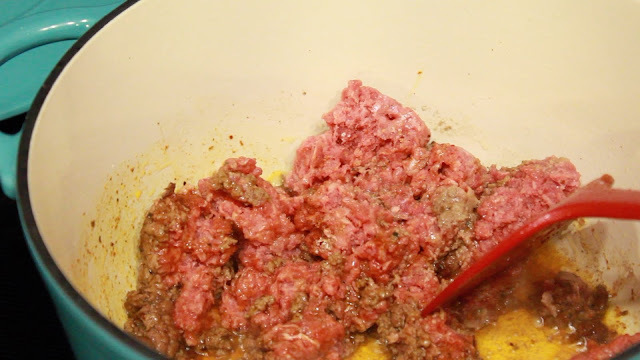 Once your beef is mostly brown (still a little pink) you want to drain your beef. All those fat juices won't do anybody good! Once drained, set it to the side. You want to move your heat to LOW for these next steps. 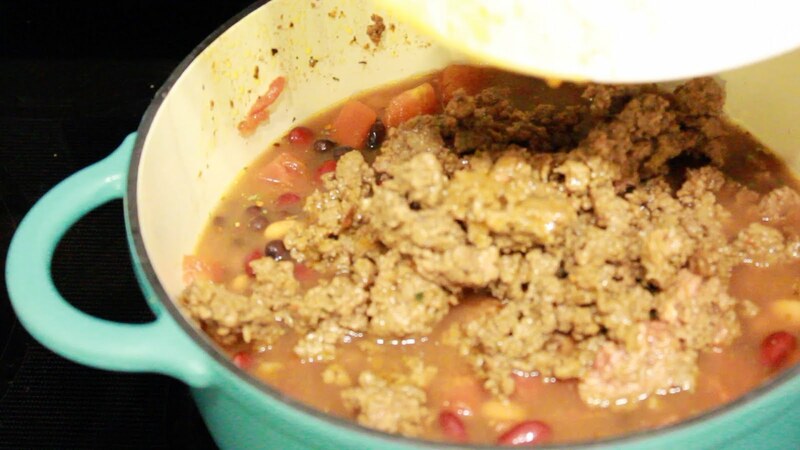 You want to pour in about 1/2 cup at this time, scrape the bottom of the pan, get all the good stuff in the broth! 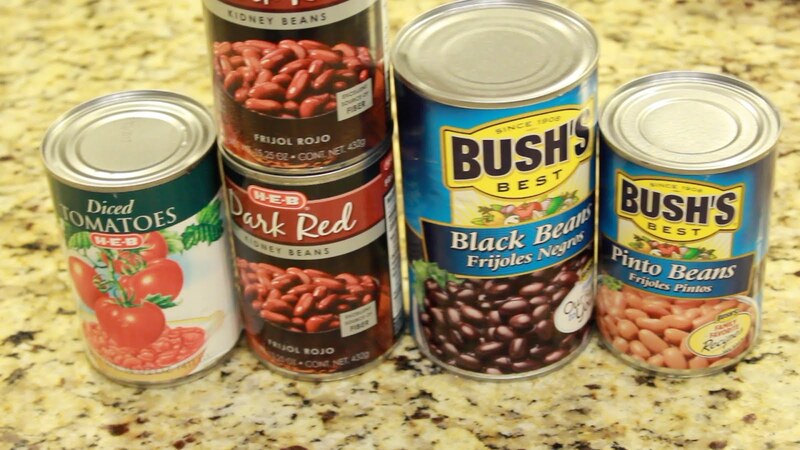 Next, we are starting on the canned goods needed for this recipe. It's pretty simple. You can use more tomato if you want, or more beans (completely up to you!) 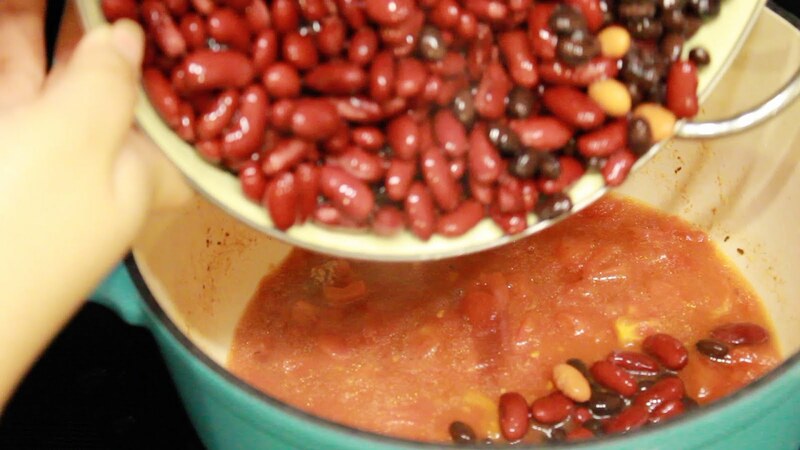 I love red kidney beans so I used two cans instead of one. 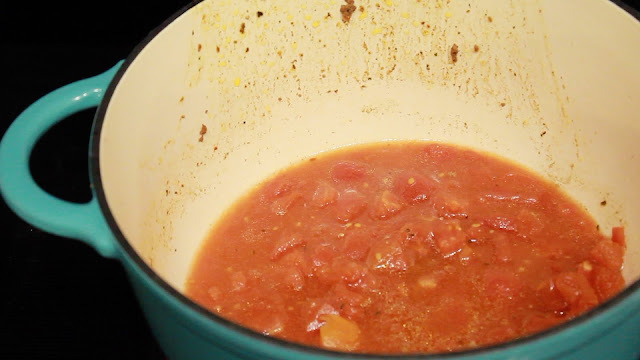 So, you will want to open the tomatoes and place them in the pot, let them char a little and mesh with the broth. While the tomato is getting a little charred, you want to go ahead and drain your beans. 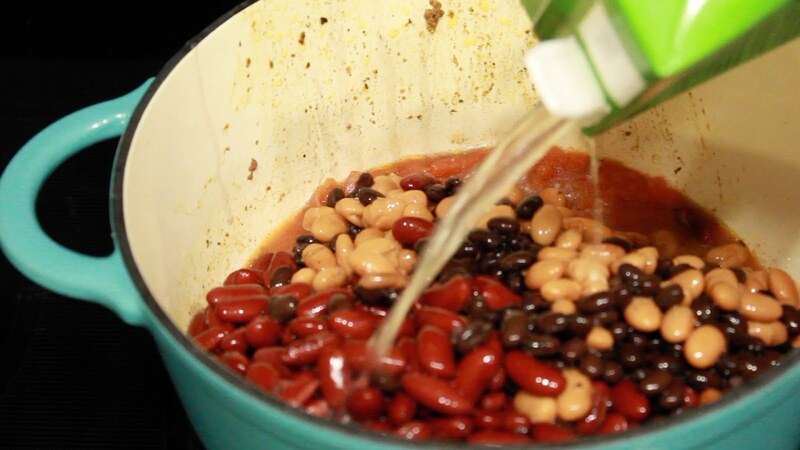 Bean gunk drives me crazy, I just don't like all those liquids. It looks gross. 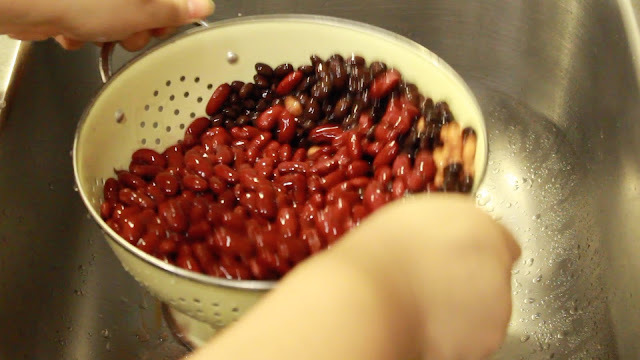 Maybe you may like the bean juice, it's up to you but at this point, I'm drainin'. It's starting to look mighty delicious now. Now, it's time to add more broth. This is when you will add the majority of the broth to create the soup. 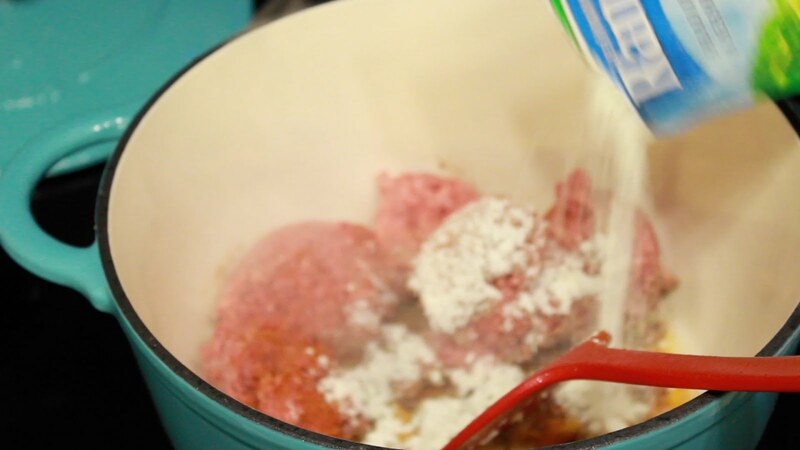 You will also add 1/3 of the packet of taco seasoning and ranch. Honestly, if you aren't into spicy. I'd suggest after this addition of the taco seasoning to stop. It would be a nice kick to it at this point but not really spicy. Once you mix all that up, you will add your delicious meat. 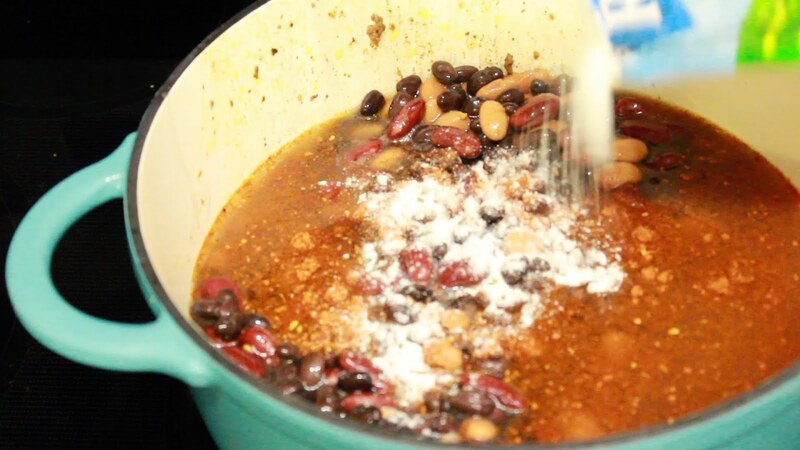 Then, you will add the remaining of the taco seasoning (if you want) and the rest of the ranch seasoning. Give that a good stir and make sure everything is all mixed. Oooooh yeah! Look at this yummy goodness, y'all! It's starting to look creamy and just yum! This is halfway through the cooking process. So, stir it for about 20-30 seconds. 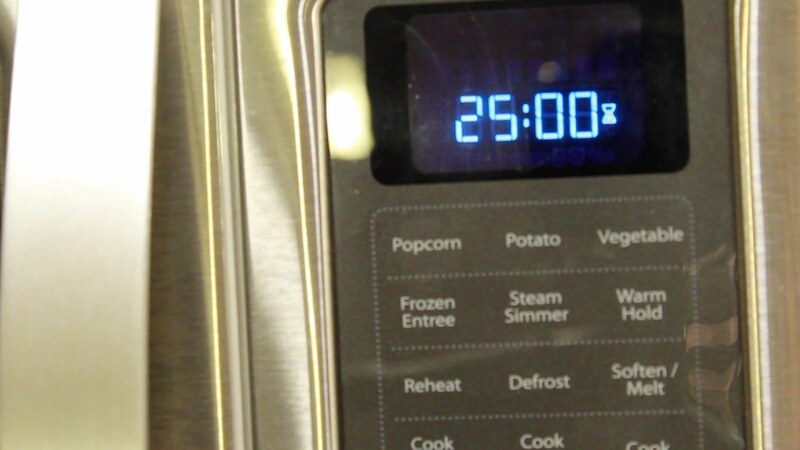 Put the top back on and let it cook for the remaining time. 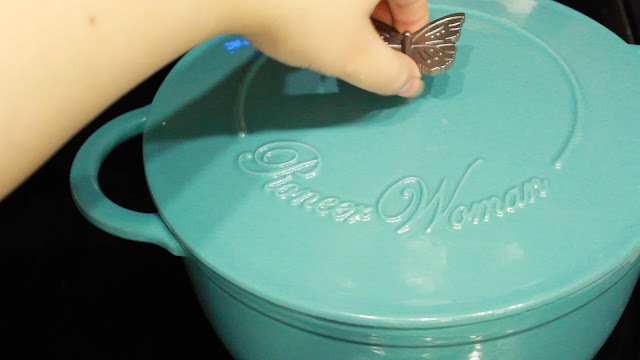 By the way, I absolutely love my Pioneer Woman Cast Iron Dutch Oven! I have been using this nonstop! It is so heavy duty and amazing quality! If y'all want one, they are at Wal-Mart for $49, I believe! You can also buy it online here: http://go.magik.ly/r/gracefulandlovely/f089/! The Pioneer Woman kitchen line is absolutely amazing! ...... and it is done! You can add whatever you want on top. 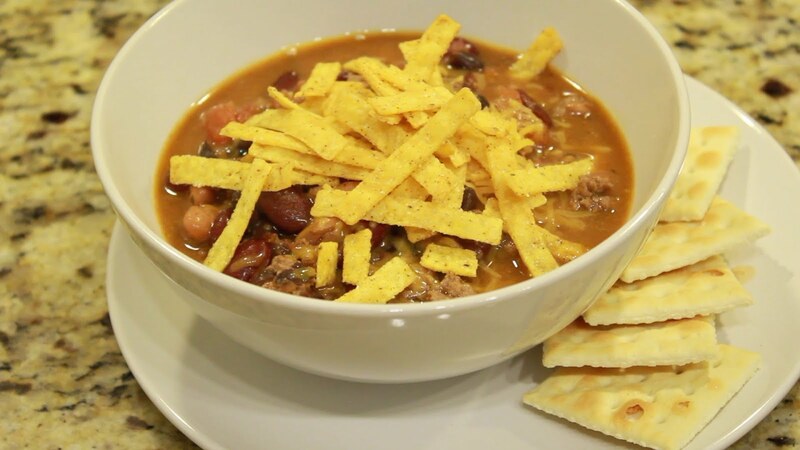 I add cheese and tortilla strips on mine! Also, sour cream is delicious as well! I hope you enjoy this recipe! It's yummy! It's making me want to make this again just looking at all these photos!!! Hope y'all enjoy! If you do make it, I'd love to hear how it tasted, tag me in photos or let me know on social media! All my social media handles are @loridarks ;) see y'all soon! Gosh, it looks so yummy! I love soup! 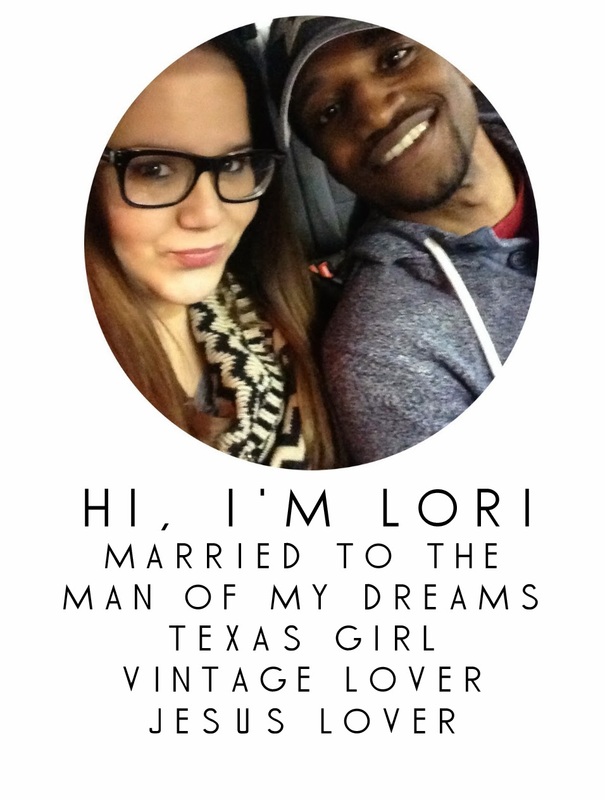 Vintage By Lori 2013. Powered by Blogger.